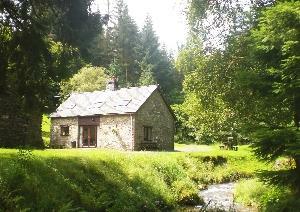 Trallwm Forest Cottages all lie within the Trallwm Estate at the head of the Gwesyn and Cnyffiad valleys. Both of these mountain streams flow down to Builth, 13 miles away to join the Wye. Abergwesyn is the gateway to the spectacular mountain road to Tregaron and the coast. The main activity on the estate is forestry, though there is also a small working farm. Within the forest there are many tracks for walking, jogging or mountain biking, and beyond the forest edge lies 20,000 acres of open moorland stretching across the Drygan (641) to the Elan Valley and Devils Bridge. Peace and tranquility prevail. Reflexology sessions can be offered. One well behaved dog allowed in Siskin, Nant Garreg, Tawny Owl, Heron and Trawsgyrch by arrangement only. Mountain bike trails are from your door. Children welcome from any age. Trallwm is best reached by turning off the A483, 8 miles west of Builth Wells at Beulah, sign-posted to Abergwesyn. Trallwm is on the right 4 miles up the valley. 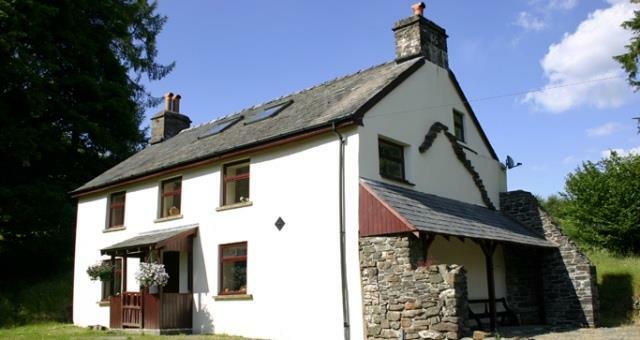 Nearest train stations - Heart of Wales Railway - Llanwrtyd Wells or Garth (7 miles). The accessibility information above applies to some cottages only as we have 8 units in total.